On Monday, Governor Rick Perry (R) of Texas announced that he would not be running for re-election to his state’s highest office in 2014. Some have wondered if Perry has his sights set on the White House in 2016. Many of those who enter into the Presidential fray, early, do so to win the “invisible primary“. The invisible primary or the “money primary” does not involve any voting at the ballot box. Candidates, however, who want to be considered as viable candidates must do well in the invisible primary. The primary takes place in the months and years before the first votes are cast. In it, candidates try to woo financial backers into supporting their campaigns. Those who fail to raise enough money tend to drop out of the Presidential campaign before the first vote is cast. Do you believe that Perry’s announcement coincides with an attempt to get ahead in the “invisible primary”? This entry was posted in General Political Science and tagged 2014, 2016, Campaign, Elections, Governor, Invisible Primary, money primary, President, Republican, Rick Perry. Bookmark the permalink. I do think that governor Rick Perry’s announcement does not coincide with an attempt to get ahead in the invisible primary. By 2016, governor Perry will be 66 years old. Personally I think at this age a political figure would be interested in retiring, not running a country. Even though he does have the political experience, I think the “best” age to be president would be in the 50’s. 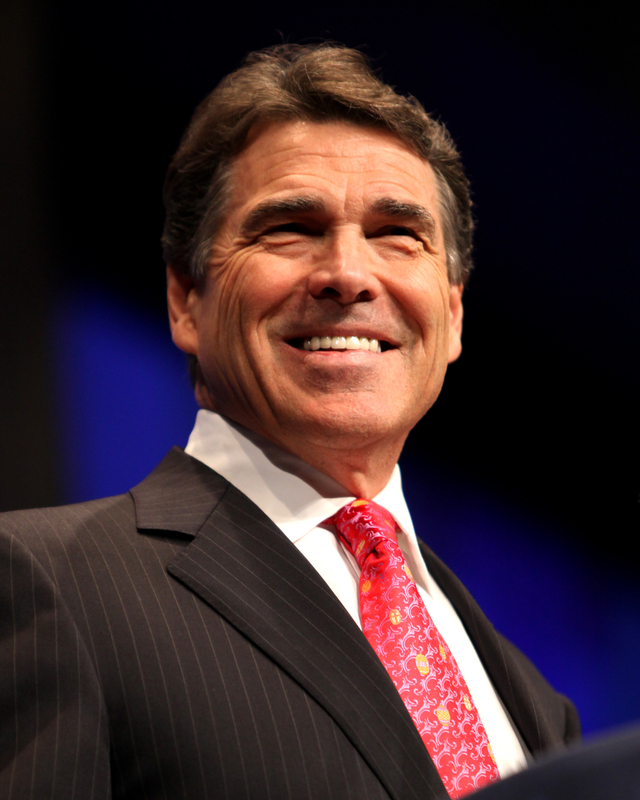 Just because Rick Perry has announced he will not run for re-election in 2014 for his current position that does not necessarily infer that he will be running for President in 2016. While Perry was involved in the running for the Republican nomination in 2012, he came in fifth out of seven candidates than ran in the Iowa Republican Caucuses and did not even enter his name in the New Hampshire primary, eventually choosing to endorse Mitt Romney. These poor results lead me to believe that he will not be running in the 2016 Presidential election, and even if he did Perry would definitely not be the front runner for the 2016 Republican nomination. I don’t know if Rick Perry has made up his mind to run for president. There are advantages to declaring early. Declaring early lets you test the viability of your campaign before you have spent too much money. Declaring early might also discourage other people to run that might run if you had not declared. I do think that Rick Perry could be a viable candidate for president. When he announced that he would not be running for re-election I immediately assumed he will be running for President in 2016. Rick Perry announced he wanted to run in the last election but ultimately dropped out and backed Mitt Romney and I think this time around he will go ahead and run for President since Mitt Romney lost. I think he would be a pretty good choice for the Republican ticket but the key question is if he can raise enough money. Rick Perry’s announcement of not running for re-election of his office, in my opinion, means his intentions are to run for president in 2016. The idea he is trying to get ahead in the “Invisible primary” is absolutely correct. The Governor has a good grasp on the importance on winning the “invisible primary.” he knows without this his chances of winning the presidency in 2016 significantly suffers. No I do not consider Governor Rick Perry to be a front runner for the 2016 election because I believe that it is way to early to decide who is. The election is 3.5 years away we just had an election. Let Obama serve his second term, and later in his second term people can decide who the front runners are. I believe Perry’s announcement to not run for re-election of Texas Governor does coincide with an attempt to get ahead in the “invisible primary”. One can argue Perry’s speech is the beginning of his presidential campaign and he took this opportunity to make himself a more viable candidate. The speech he delivered on July 8th started with his humble background and immediately moved to a very impressive resume that summarized all of his accomplishments as Governor. By not explicitly expressing his plans to run for president in 2016, he positions himself with an advantage to see what kind of financial support and success he may get through the “invisible primary”. Perry’s announcement is a prime example of the “invisible primary.” Since he announced he is not going to run for re-election, people are starting to talk about him as president. When they talk about him they give their opinions about his beliefs, policies, and how well of a job he could do. By making this announcement he has effectively thrown his hat into the presidential ring without any repercussions if he never runs for the position. Governor Perry is probably the front-runner for the Republican party since many conservatives are upset with how liberal Governor Christie has been lately. I believe that Rick Perry’s decision to not run for reelection as governor is an indication that he intends to run for president in 2016. For a long time now, Governor Perry has shown aspirations of running for president and after Mitt Romney’s failed attempt in 2012, I think Perry is a likely candidate to gain support from fellow Republicans. I definitely think Governor Perry will enter the invisible primary, but whether he will emerge from the invisible primary is unknown. This is a bit complicated because until Rick Perry says that he is running for president, no one knows except him and his immediate family. From this viewpoint, some may wonder that he is running with the expectation of raising money, but others can say that he is simply retiring and it is mere coincidence that the invisible primary is around the same time. We can’t know a definitive answer until Perry confirms it himself. I don’t believe that Rick Perry is going to go for another presidential run. Just because he isn’t running for governor again does not mean he has plans to run for the presidential nomination. After his last attempt at running for president ended terribly, going from the number one spot down to the bottom in polls, I don’t think he really believes that he could run for president and win. I believe that it is very possible that perry to run in the 2016 election. It only makes sense since he isn’t running for governor again. He has a lot of political experience and the next election will definitely result in a republican president. Any republican that wants to run for election should this time around. I think it may have something to do with it. I think the Republican party knows it strongly need to win the next presidential election. I can see people like Perry trying to get out there and ahead of the ball game because I am sure the Dem’s are going to spend whatever they have on the next presidential election. Now, if you ask me if Perry is the best candidate, I would say no. I like Perry as a Governor but I don’t think hes got the quality or characteristics of being the President. He was terrible in the debates this last time around with public speaking ( who wouldn’t but he should be somewhat used to it), and his stats were not all that accurate. I am keeping my eyes on Marco Rubio, although hes young and a “rising star” anything can happen to bring him down, there’s pleanty of time to go. I hope he continues to rise. I think Perry is a strong candidate to run for a President from the Republican party. One problem I see with this article is that politicians start the “ivisible” process of election while they are in the office. It seems that these days the second they get elected they begin the process to get reelected instead of focusing on improving our county, state or country.Politicians are scared to make hard decisions and pick what is popular to get the most votes. I do not know much about Perry but I believe he is setting himself up for a run at president. In order to do so he needs to get his name out there and start raising money. Politics who generate the most money and most popularity are typically the ones who win. It will be important for him to get the money he needs and start his campaigning as early as possible. I believe that Perry will attempt another run at President in 2016. Him announcing he is not running for re-election this early is probably a ploy to get people to talk about him and his future plans and to drum up support for his probable run in 2016. Every election cycle legislators start their re-election campaigns earlier and earlier and Perry is no different with his cloak-and-dagger announcement. I believe that Rick Perry is going to run in the 2016 elections. Like we have learned, campaigns cost a lot of money and take a lot of time to prepare efficiently. He probably wants to prepare himself and go out with a bang before actual primaries that go on in the USA. If a candidate doesnt have the right tools before the actual running then the rest will fail. I do believe that Perry’s announcement coincides with him getting ahead in the primary. I believe that because he is the age of 66 he is trying to leave a legacy behind. In order to do so he is going to attempt to be president and is preparing from now in order to strengthen his chances. I would consider Perry to be the Republican front runner for President in 2016 because I do believe he has what it takes to possibly become president. Personally, I do not know much about Perry’s political background in order to consider him a “front runner” for the republican party. I think it to early to tell considering President Obama was just elected in office this January. However, in order to be a “front runner” he is making the right moves by fundraising early and getting his name out there. Perry is one with money and shows it off well. To me, he is like a Bush, they come from money because of there oil history but do not brag about it publicly. George W. and George Sr. are obvious winners of this ‘invisible primary’ and it comes in handy to whisper sweet nothings into your supporters ears about a few greenbacks. Perry has a chance if he can sweet talk the right politicians and the right people.